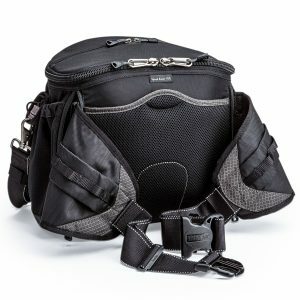 The Think Tank Change Up V2 is an interesting camera bag that straddles the line between the brand’s many shoulder bags, and their extremely popular modular belt pack series that is used by so many event photographers. 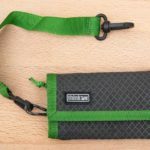 The Change Up is primarily a belt pack that’s capable of carrying a camera and a couple of lenses, but it can also be equipped with a pair of additional pouches from the modular lineup to expand the capacity. 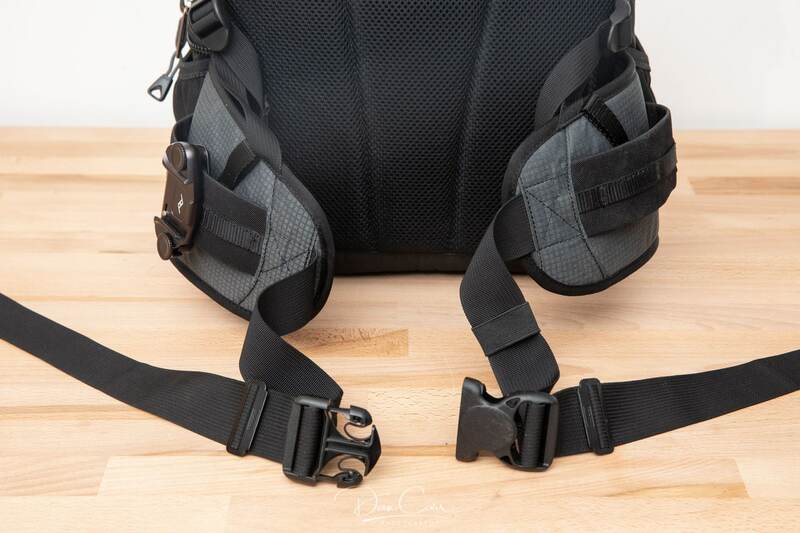 In addition to this, the Change Up V2 comes with a pair of shoulder straps that take the weight of the bag off your waist and spread it firmly onto your shoulders, whilst at the same time elevating the bag up towards your chest for greatly improved mobility and ease of use when sitting down. Using a single strap turns the Change Up into a simple shoulder bag, and it’s from these three carrying methods that the Change Up v2 gets its name. The Change Up has an excellent organizer on the front of the bag. 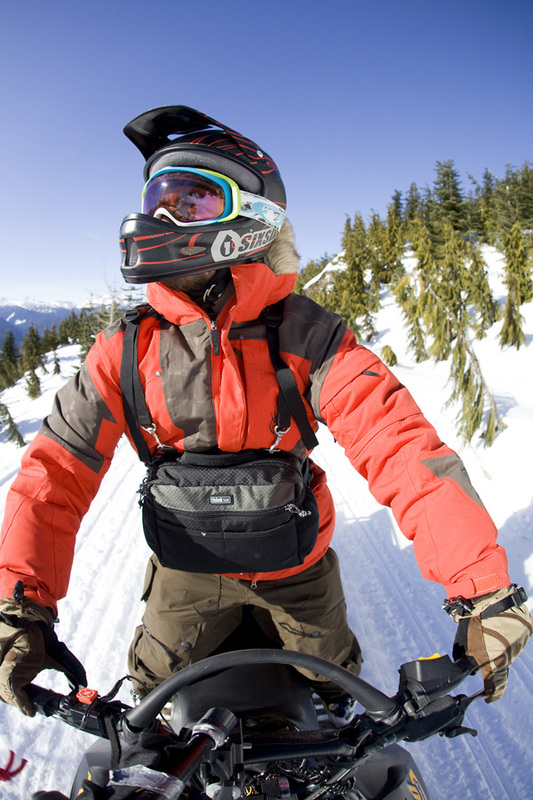 I owned the original V1 Change Up over a decade ago, in fact that’s the one you can see in the self portrait of me riding the snowmobile. From the outside, there’s really nothing to tell the difference between the old V1 and the new V2. On the inside, the biggest change is that the old V1 Change Up had a removable insert, whilst the V2 does not. In practical terms having used both of them extensively, I can say that this doesn’t make any difference. I would imagine that Think Tank discovered that nobody ever removed the insert, so they simplified the product for the slightly updated version. Camera and lens protection appears to be comparable between the old and new versions, and I’d say there’s no compelling reason to upgrade from V1 to V2 if you’re the happy owner of one of the original Change Ups. One of the standout feature of the Change Up V2 is the shoulder strap chest carrying mode, and there’s a few situations where this thing is simply brilliant. They may be fairly niche situations, but there’s nothing wrong with a brand offering useful niche solutions when they are this well executed. 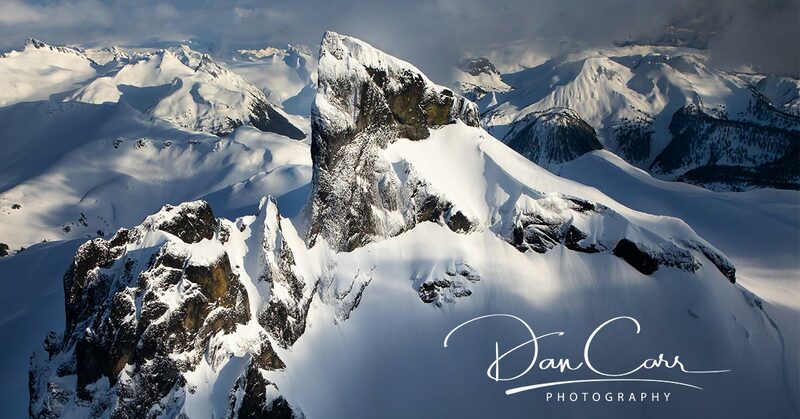 My personal favourite usage for the Change Up is aerial photography. If I’m flying in either a small aircraft or a helicopter I always have a camera in my hand and one or two more lenses in the Change Up. Not only can I use this safely as a lens changing station, but I can also tether the camera to the harness. With the harness straps shortened, the Change Up is comfortable to use from a sitting position where lenses, batteries and memory cards fall perfectly to hand. You can see here that the Change Up isn’t so big that it immobilizes you in active situations, and it’s right there when I need quick access to my gear. I mentioned earlier that you can’t use this bag to store a pro-sized body with a lens attached to it because it’s not wide enough. When you use the Chang Up in “chest harness mode” you can appreciate why this was exactly the right decision by the designers. Had the bag been wide enough to accommodate a larger, gripped pro body, it would severely reduce overall mobility in a seated position, as well as the visibility that you have when looking down. As it stands, I can wear this when sitting on the side of a helicopter, and I can also wear it when seated in the front of a light aircraft without bumping the controls. A key features is the height of this bag. Easily able to accommodate a 70-200 or 100-400. I love the way the top flaps fold out of the way, giving you unhindered access. 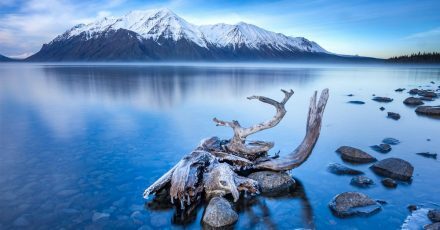 Whilst I carry most of my camera gear onto a plane as carry-on luggage, sometimes there’s a few items that have to be carefully packed into one of my checked duffle bags. Usually it’s less critical items such as my RRS ballhead, a hot shoe flash and some remote camera triggers. 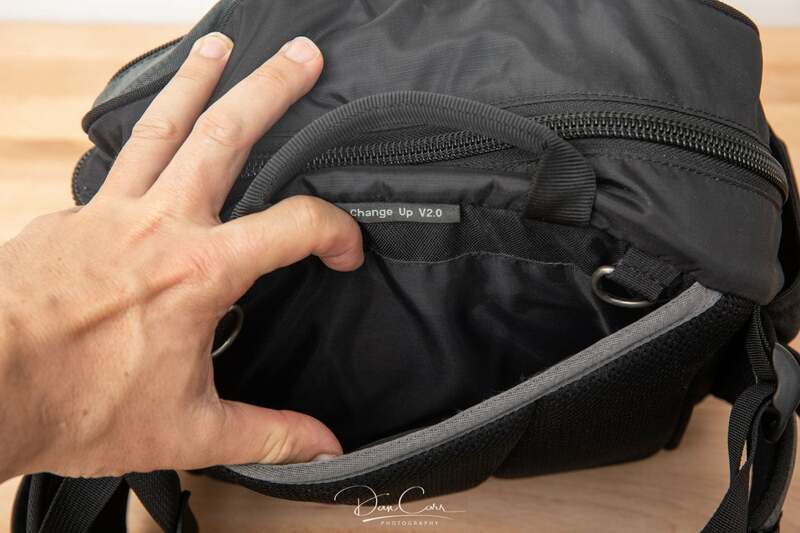 The Change Up V2 makes a great solution fo protecting this extra gear in your bag, and also provides you with some additional carrying solutions once you reach your destination. 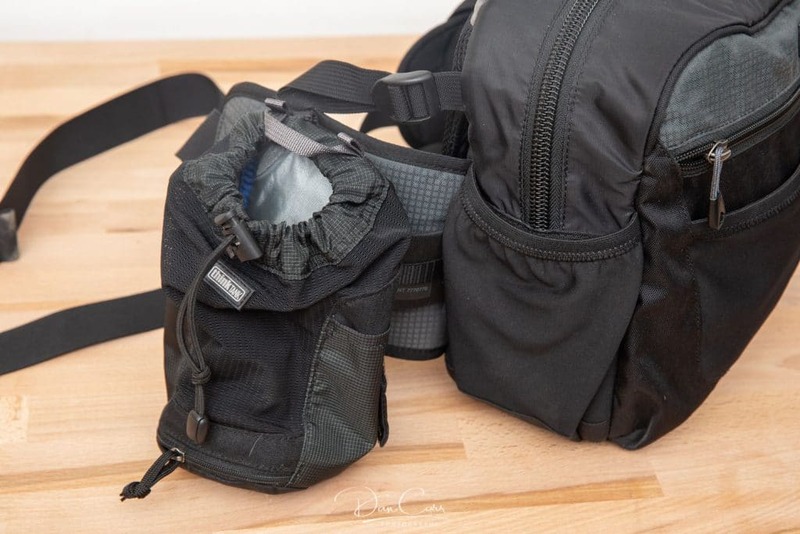 For larger, more fragile pieces of gear I always use Pelican cases, but for those smaller items I can simply pack clothing around the Change Up and place it in the middle of my Osprey duffle bag. 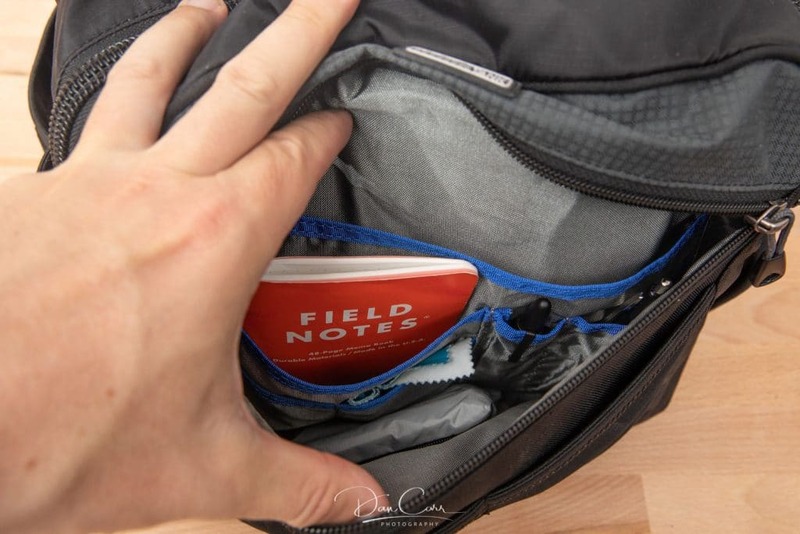 The Change Up can then pull additional duties as a small shoulder bag when I reach my destination, because my larger main backpack isn’t always practical when you’re wandering around a city, for example. 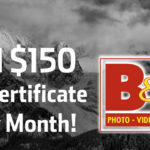 Sometimes I’m not hiking a great distance with my super telephoto lens for wildlife opportunities. 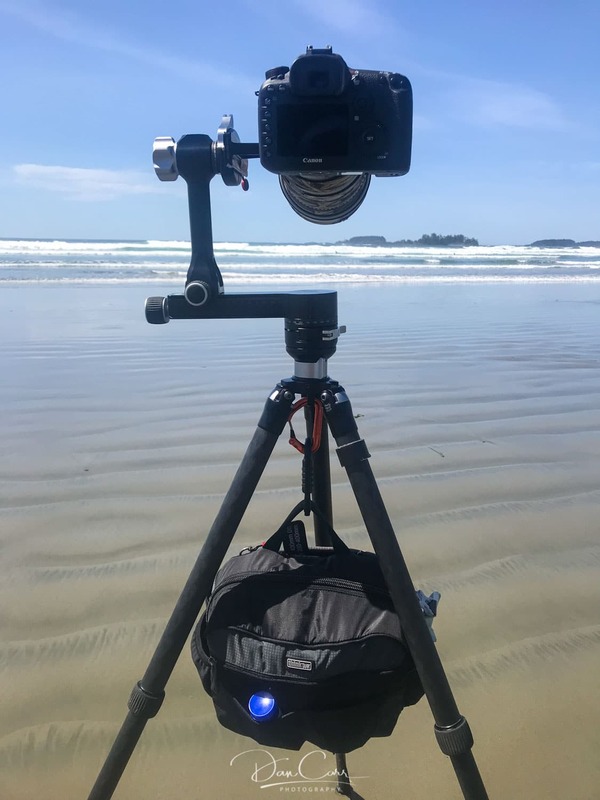 If that’s the case, I often mount the lens on my tripod and just throw that whole setup on my shoulder, using Aquatech tripod pads for comfort. I know I’m not the only one that works like that as I often encounter other photographers doing something similar. In this case I don’t really need a huge backpack with me but I do need to carry batteries, memory cards, binoculars, teleconverters (extenders) and my trusty 100-400 for wider wildlife shots. The Change Up is perfect for this setup, and usually if it’s a short walk I don’t even bother with the dual shoulder straps, I simply use the waist belt. 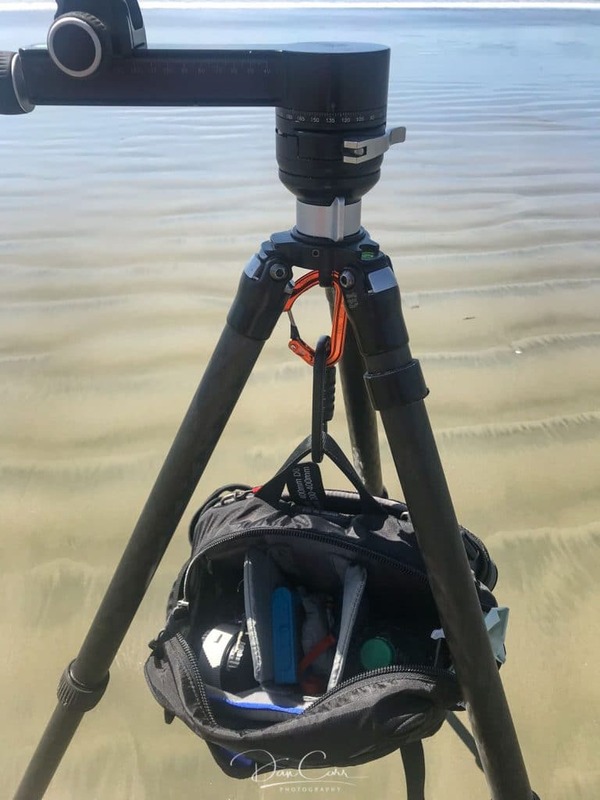 Once I get in position, I’m I’m going to be sticking in the same spot for a while, I use a carabiner to hang the Change Up on the hook beneath my tripod. Hung on a tripod, the Change Up makes a great "work station". 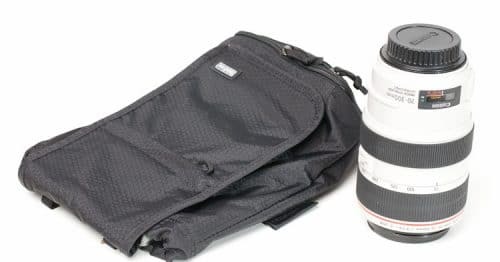 As you can see from the photos, it’s a bag that’s very clearly designed for three lenses, with a regular sized DSLR attached to the one in the middle. 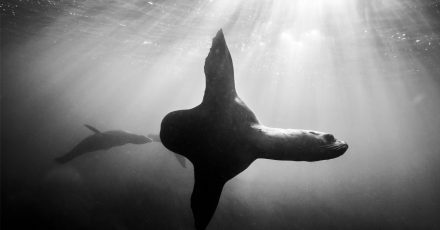 If you shoot with a pro-sized body then this will mean that you’d have to remove the lens from the body, and realistically you’ll then only get the body and a single lens in the bag. That’s quite limiting, and I do wish they would offer a version of this that was wide enough for these larger cameras. My recommendation for pro body users is to buy the Think Tank Speed Changer and mount that on the belt of the Change Up. The Speed Changer is specifically designed to accommodate a pro body, and that then leaves you with room for three lenses in the Change Up. 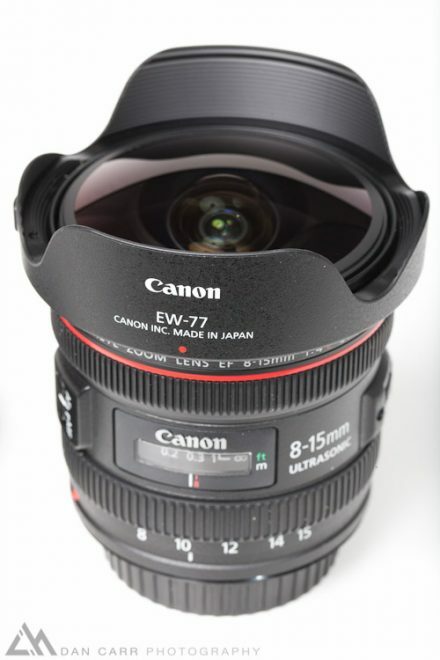 In terms of lens sizing, the Change Up is tall enough to accommodate a 70-200 f/2.8 or a 100-400, which is awesome. I can fit my 5D Mark IV with a 24-70 and 100-400 in this bag and still have room left over for a teleconverter, batteries and a few other accessories. Extra pouches can be added on both sides of the waist belt. Of course these remarks on lens and camera capacity assume you want to fit the camera into the bag, but that’s not necessarily always the case. 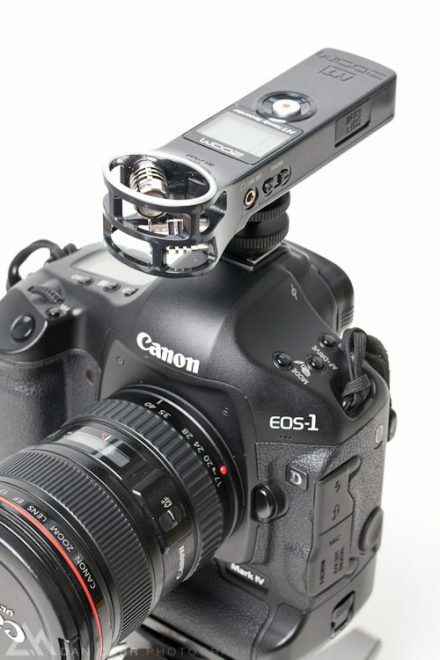 When shooting events, most people will probably use the Change Up more as a lens changer and accessory holder, and keep the camera over their shoulder. 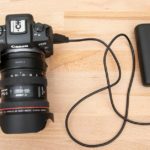 It really does work exceptionally well like this, and with one lens on the camera and three more in the bag, that’s going to keep a lot of event and wedding photographers happy all day long. 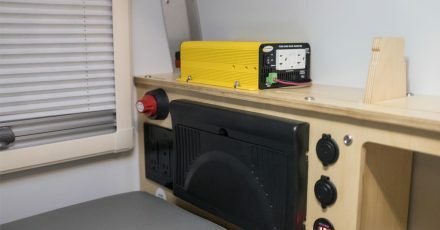 A lot of people use the well-known Think Tank modular belt kits for that exact purpose, but I personally find the Change Up to be a much more versatile solution. I have used the modular belts many times for event work as well, but once you load them up it’s cumbersome to remove them, so you tend to end up wearing it for hours at a time. 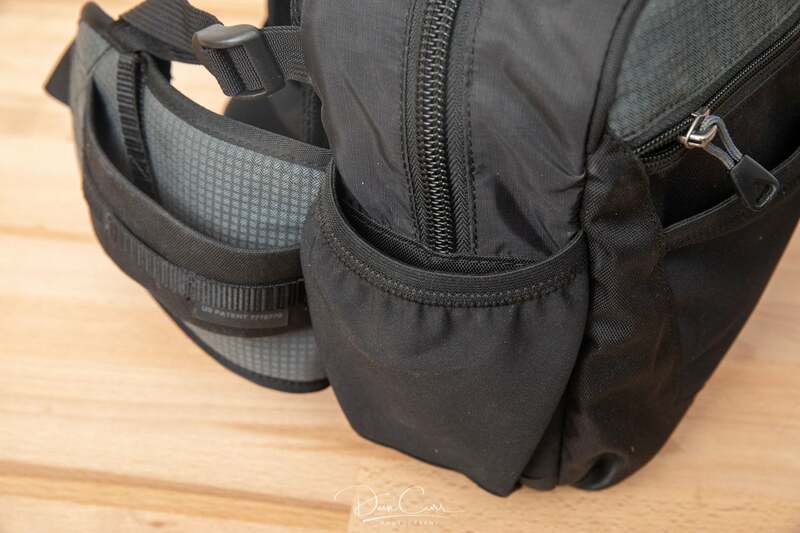 By comparison, with the Change Up I find it much easier to use, and I can always just use it as a shoulder bag if I’m working on something that has me moving from A to B to C all day long, but stopping at each place to shoot for long periods. 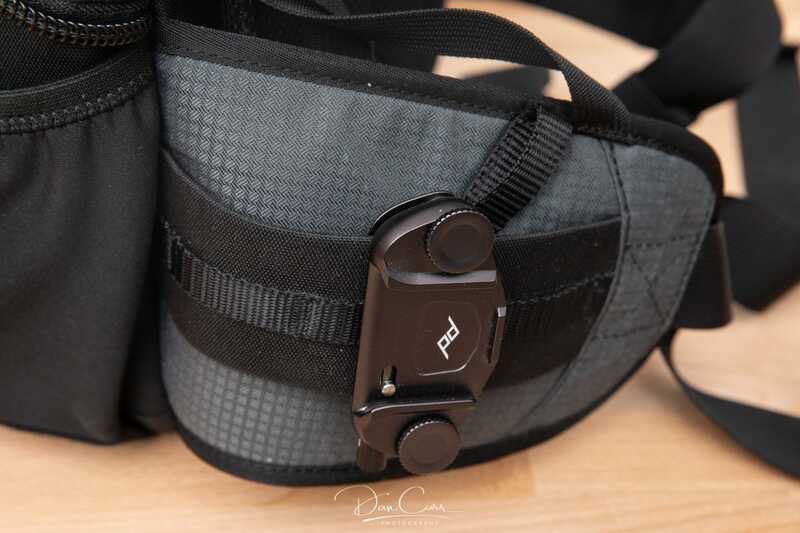 Each solution has benefits, but I do think the Change Up has versatility on its side, as long as you don’t mind the slightly bulkier design of it compared to, say, one or two of the Skin pouches on the Skin Belt. 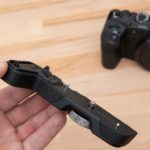 If you have a Peak Design Capture Clip, this is a great way to use it! Rear organizer. So many pockets! Elastic pockets on both sides. 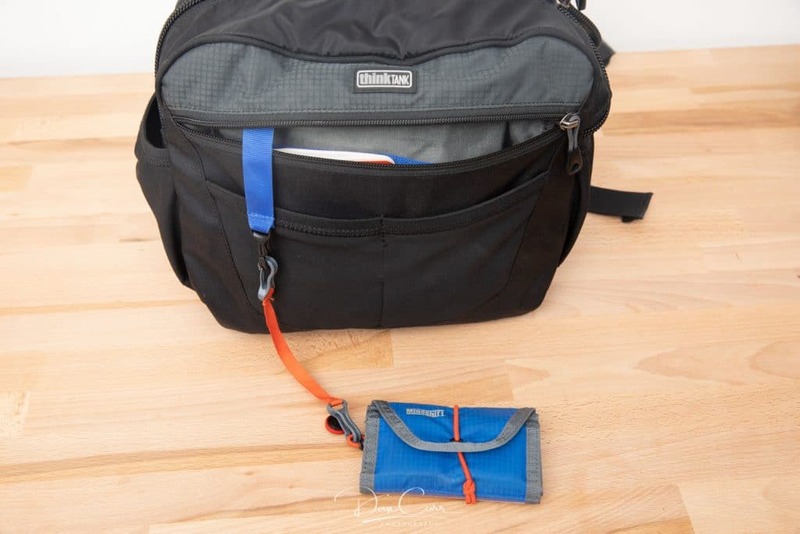 If you’re into the idea of a belt pack but need something with larger capacity then Think Tank does offer a few options, although the design is quite different to the Change Up, and they really are considerably bulkier and don’t come with the shoulder straps. 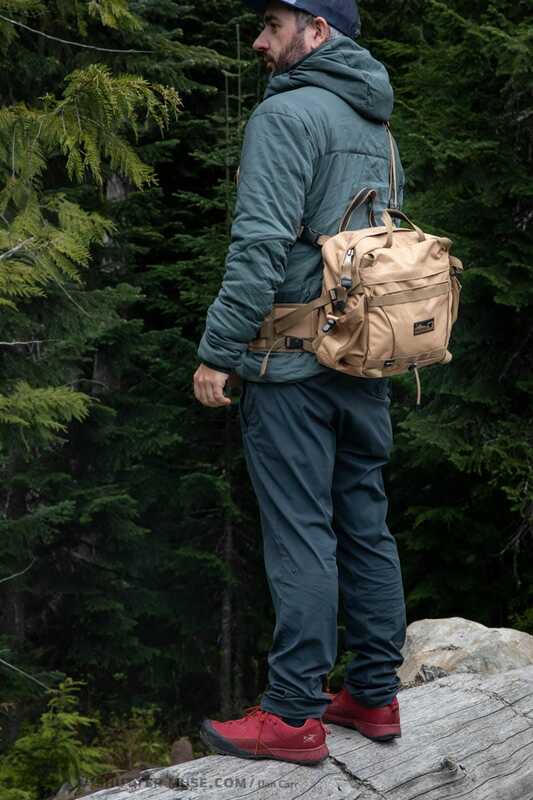 Another bag that might be on your radar is the Tanack 10L from MountainSmith. 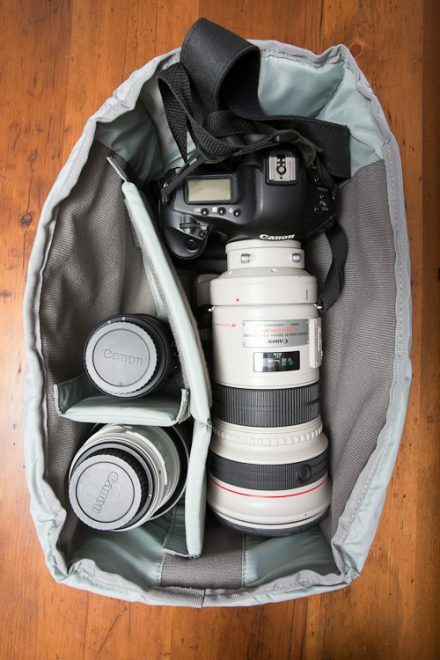 This is a bag that I have reviewed in the past for Shutter Muse, and also found to be a very versatile option. The Tanack actually has a lot more capacity than the Change Up, but it doesn’t do quite so well at protecting camera gear within that volume because the padded inserts that they sell for it don’t take up all of the interior room. In the Tanack, there isn’t a great way to protect a large lens like a 70-200, for example. 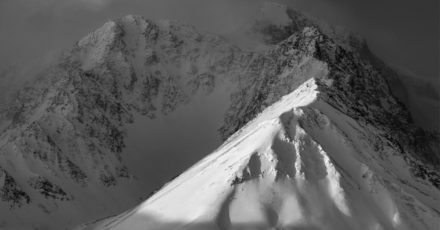 MountainSmith Tanack 10L. For size reference, I’m 5ft9. 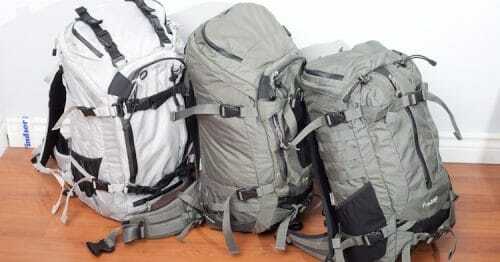 Nonetheless, the Tanack is a solid option as well but I recommend it more for people that want to carry a small camera setup, and then some additional outdoor gear such as a jacket, binoculars, GPS and food for a day of hiking. To aid with carrying additional gear, the Tanack has external elastic straps and like I said, it’s also quite a bit bigger. In fact the Change Up will fit inside the Tanack! 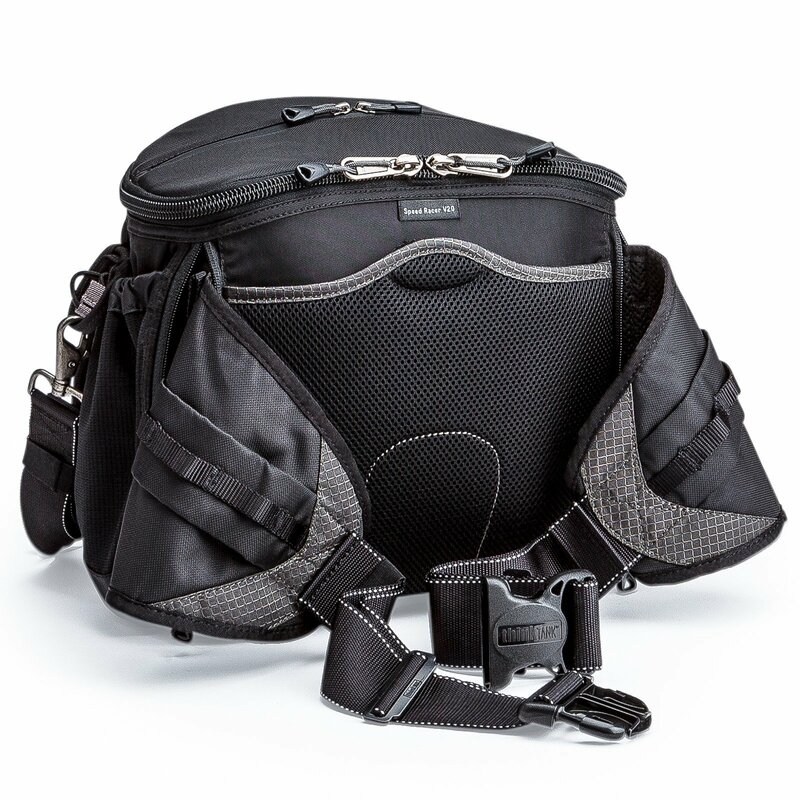 Think Tank also have some larger capacity belt packs – Speed Racer, Speed Freak and Speed Demon – that might suit you if you need to carry a pro-sized body with a lens attached. Personally I think they look a bit bulky and unwieldy for my use, but the option is there if you like Think Tank’s ecosystem of products and want to stick with them. 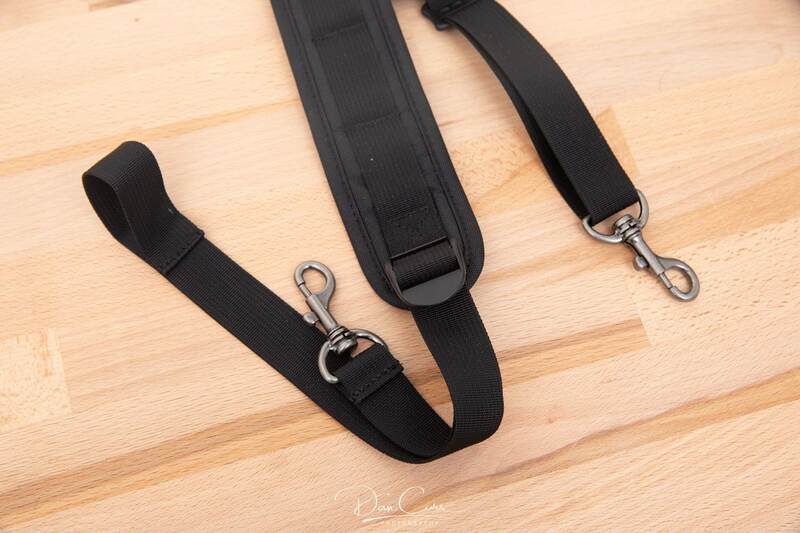 These larger belt packs do not come with shoulder straps like the Change Up does, and I think they would be too bulk for some of the other things I have found the Change Up useful for, such as aerial photography, snowmobiling and working in a small boat or Zodiac. 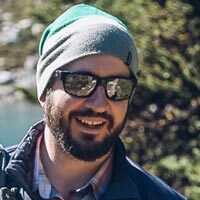 Lowepro used to have some belt packs as well, but it seems they might have been discontinued as I was unable to find them on their website anymore. 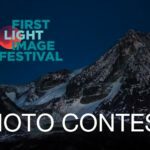 If you know of any other similar options, please chime in using the comment section below! 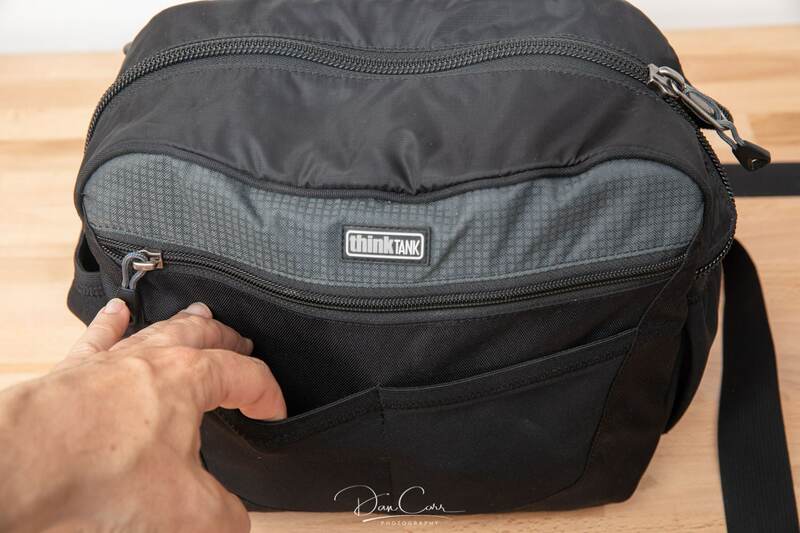 Large belt packs like the Think Tank Change Up aren’t a camera carrying solution that you come across all that often. 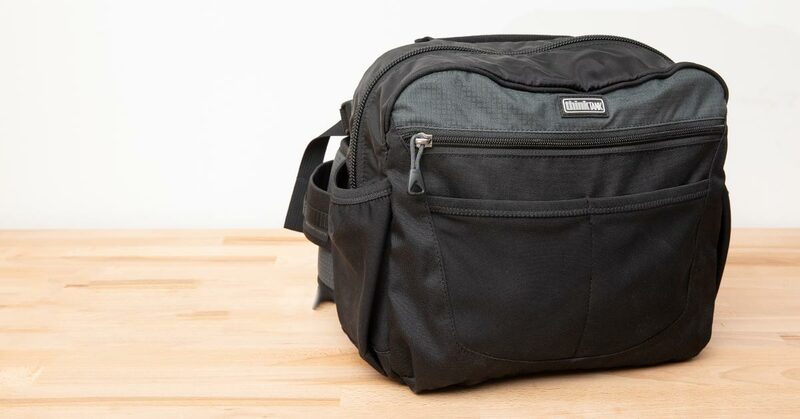 I chatted with some other photographers about this recently and it seems as though there’s a general perception that bags like this are “dorky”. Well, yeah, I guess I can see why some people might think that. Fanny packs haven’t been cool since 1985, and this is definitely a GIANT fanny pack. 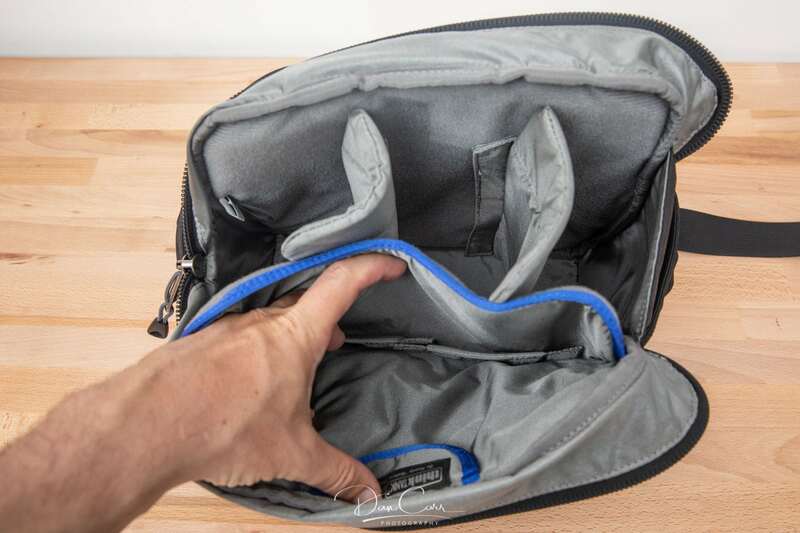 There’s not a lot of point wasting my breath trying to convince someone that a bag like this looks cool, but if anyone will listen to me I’ll happily talk their ear off for half an hour about how and why it is practical, comfortable and allows me to work efficiently in many situations. 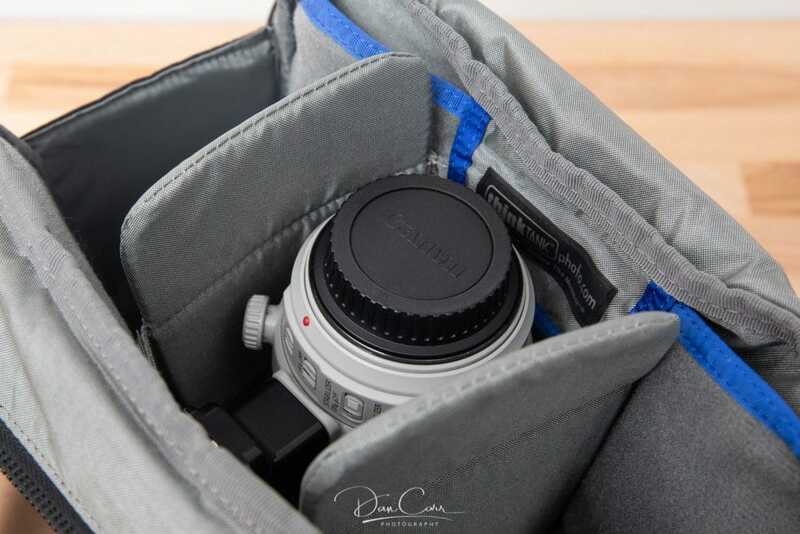 Perhaps style gurus need not apply for this one then, but if you need comfortable carry for gear that’s quickly to hand when you need it, this is a superb option that comes with all the careful design consideration that we expect from Think Tank Photo. 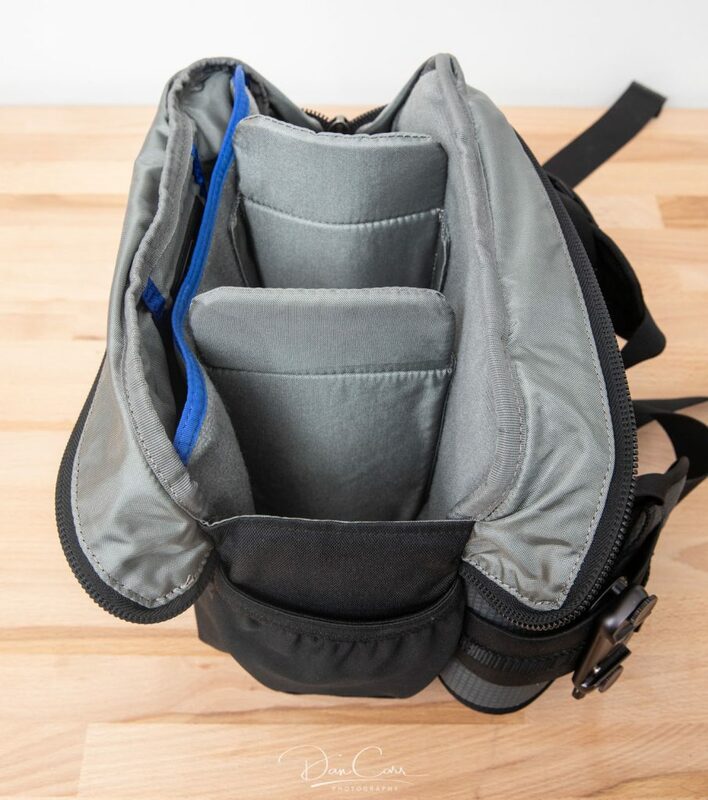 A bag for people that care more about getting the shot and having the right gear for the job. I love the bag overall but I wish the “wings” could be removed instead of stowed because it adds unnecessary weight and bulk to the bag. I also have their belt system and would use that in addition to this bag should I wanted to bring more. Sometimes I get the feeling of tearing off its “wings”. Yeah I can see your point. If you could zip them on and off it might be useful. an easy method you can remove me from that service? Appreciate it! There’s a link in the email notification that allows you to unsubscribe. Although I note that there are no other comments on this entire site attributed to your email address, so I think you might be confused about where the notifications are coming from. As you can see, there are only two previous comments on this post anyway. One of them if from me, and another is from someone who is not you. If you continue to have a problem, please send me a screenshot of the email you are getting using the contact form.